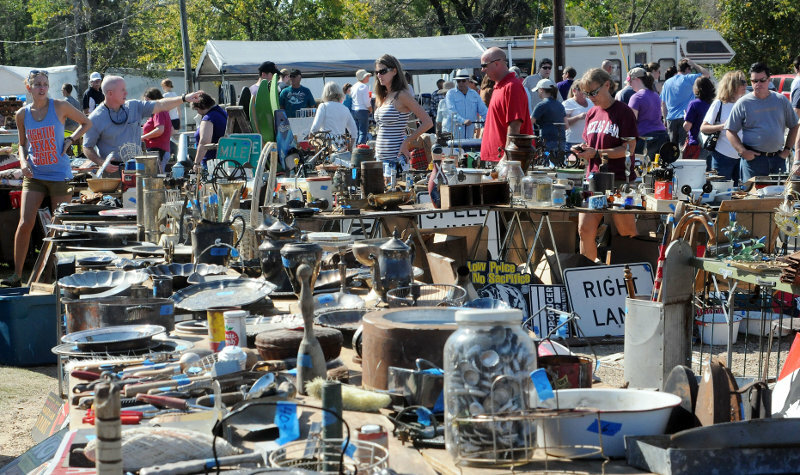 If you believe everything in Texas is "bigger" than life then you'll love Canton's First Monday Trade Days. Located less than an hour east of Dallas on Interstate 20, First Monday, as it's known to the locals, is simply one big party. 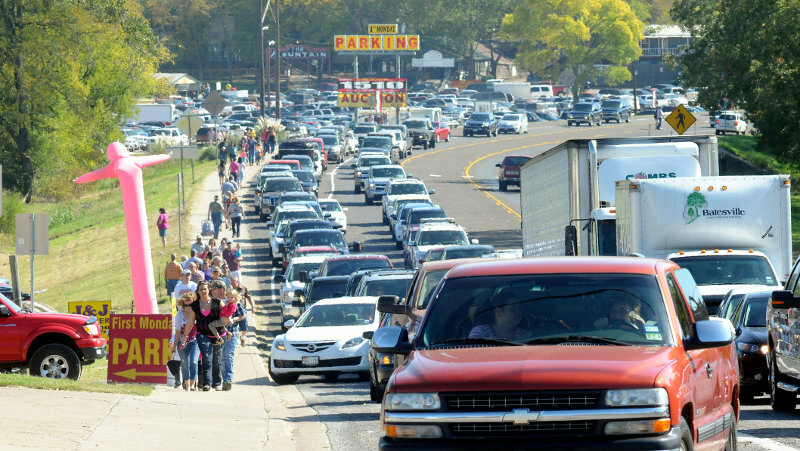 It is held Thursday through Sunday before the first Monday of each month and it turns a community of just over 5,000 residents into a sea of humanity. 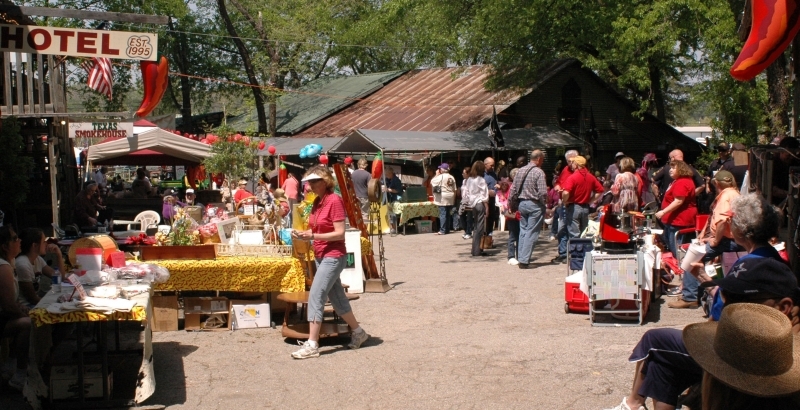 It began in the mid 1850s as a place to sell or trade a wide variety of goods needed by families populating East Texas. 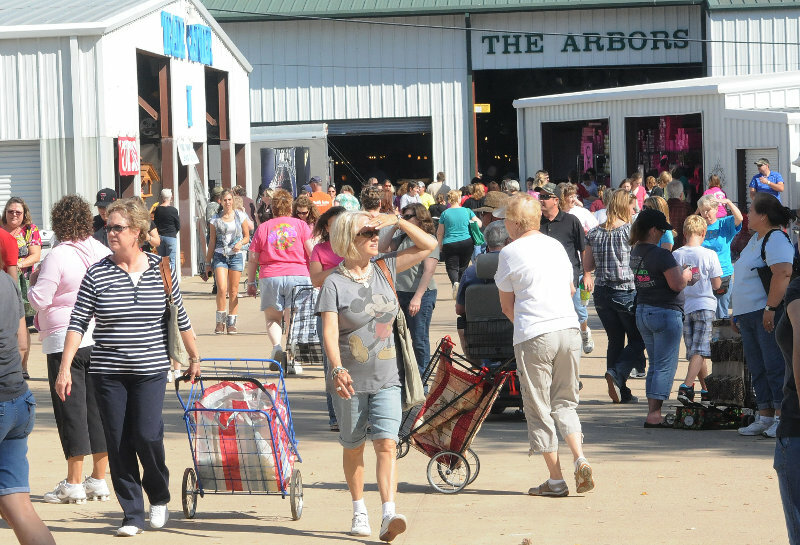 Now more than 300,000 people visit First Monday each month and many believe it to be the largest event of its' type in the entire country. Some simply visit for the spectacle of being able to buy anything from antique tools to all things modern. If you want it, you will probably be able to find it at First Monday. Don't worry about food or beverages, there's plenty of those items everywhere you turn. Where else but Canton are you likely to find two Texans (law enforcement types) "moonlighting" and selling their Brother's Blend of Cajun Style Chicken Sausage? Nope, don't worry about the food, just wear comfortable shoes. First Monday is spread over more than 400 acres and is a combination of privately owned and city owned property. First Monday is almost too much to cover in one day but if you have the staying power you can wander the open grounds of tables filled with tools, jewels and jams... clothing, furniture and art or you can get out of the weather and into the growing number of air conditioned buildings. First Monday isn't just a place to shop for bargains, it's "a happening" that offers some of the best people-watching entertainment available anywhere. 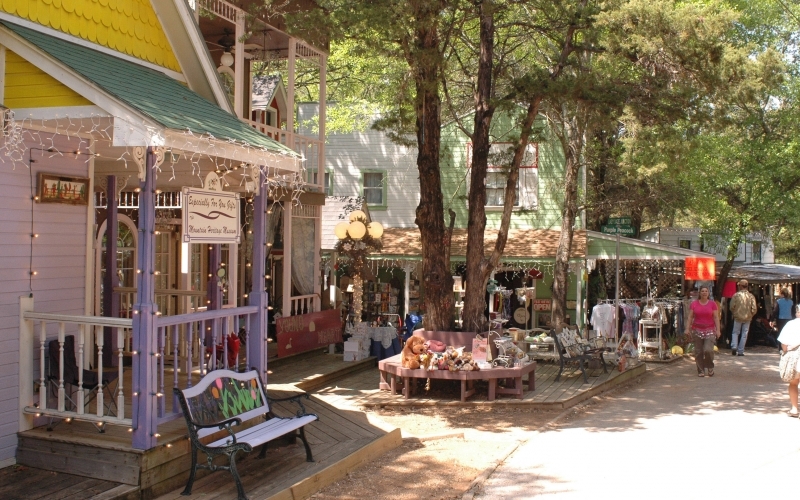 Shopping is almost the secondary reason for visiting Canton during those weekends. We recommend a few things for those who have never been there. Get there early, particularly in the warm months of the year, and get the bulk of your walking in before 2 p.m. Arriving before 10 a.m. will most likely mean you'll have a parking place within a short walk of the shopping. Don't miss Dog Town. It is far more than just a collection of dogs. It's easy to skip going there if you aren't in the market for an animal but it is truly worth spending 30 minutes or more mingling with the crowds and watching the interaction between humans and animals. It's much like a zoo, minus the elephants and lions. With that many visitors, who needs giraffes? We've witnessed small children struggling to carry their new pets, a full blown adult attempting to pull a goat through the crowd, while another simply gave up and carried his goat. There are those who know what the words "this is a dog's world" really means and they wheel their pets around the grounds in baby strollers. Really... no kidding. Don't miss the open air area near the convention center. It's there that you will walk among the tools of your grandfather's era. Canton is one of those success stories that have evolved because of personal contact. A full 94 percent of those who visit First Monday for the first time, do so because someone they meet tells them about their experience. 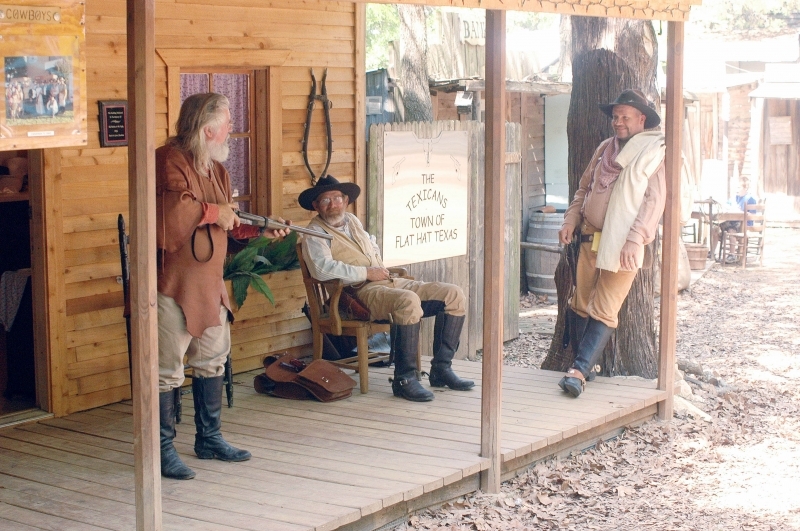 When you visit First Monday you'll be doing what people such as Lyndon B. Johnson, Will Rogers, Bonnie and Clyde, and millions of others have been doing for 150 years. We bet that after one visit, you'll be hooked like the hundreds of thousands of others that make the trip to Canton each and every year.